To align with a new and exciting phase of growth, William Adams is currently on a recruitment drive for a number of Tasmanian based sales positions. 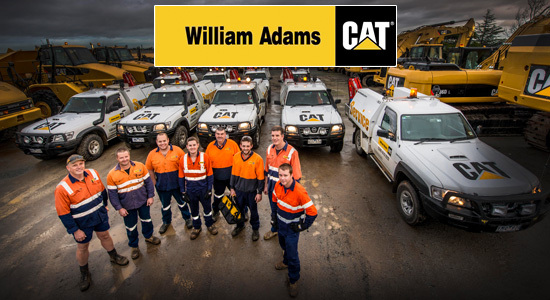 We believe what sets us apart here at William Adams is our people and we are proud to have some of the longest serving sales employees of our industry in Tasmania. It is due to the fact we are losing some of our best employees to retirement, that we now have a handful of exciting sales representative opportunities available for application. Firstly we are looking for an Equipment Sales Representative - New, Used & Rental to cover the North East of Tasmania. Offer our customers outstanding sales coverage and support. Ultimately, you will have a strong sales background, excellent interpersonal skills and drive to succeed. An attractive salary package including vehicle, phone and laptop will be offered along with the opportunity to access world class self-development opportunities and training, with access to global curriculum. If you are up for a new challenge, looking to advance your career and enjoy working with people who are proud to represent Caterpillar, a globally recognised brand, this may be the role for you!